During the Consumer Electronics Show (CES) keynote last night, Microsoft announced it has partnered with ZeptoLab to bring you a free web version of the popular smartphone app Cut the Rope. It’s built entirely in HTML5 and is optimized to work in IE 9 in Windows 7. 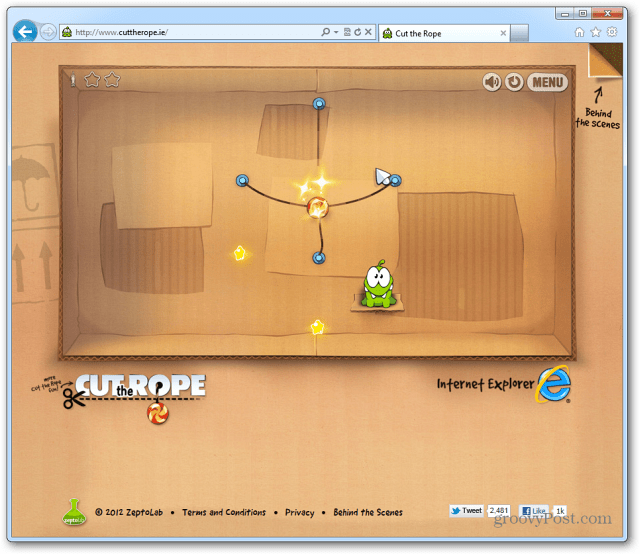 To play, go to cuttherope.ie in Internet Explorer 9. Just use your mouse to cut the ropes in each level. 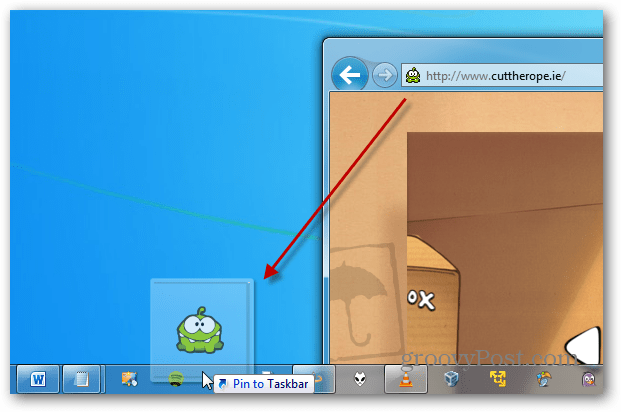 With IE 9 in Windows 7, you can pin the game to the Taskbar. You can play it in any modern web browser – Firefox 9 or the latest version of Google Chrome. But it’s designed to play best in IE 9 on Windows 7 through its hardware acceleration feature. I tested it in Firefox and it crashed twice. When playing it in Google Chrome, there was a lot of stutter in gameplay. 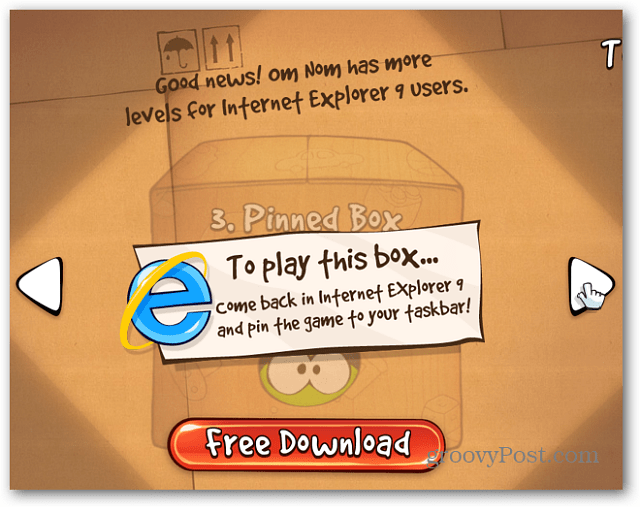 To access additional levels, you’ll need to play it in IE 9. They’re not available in other browsers. 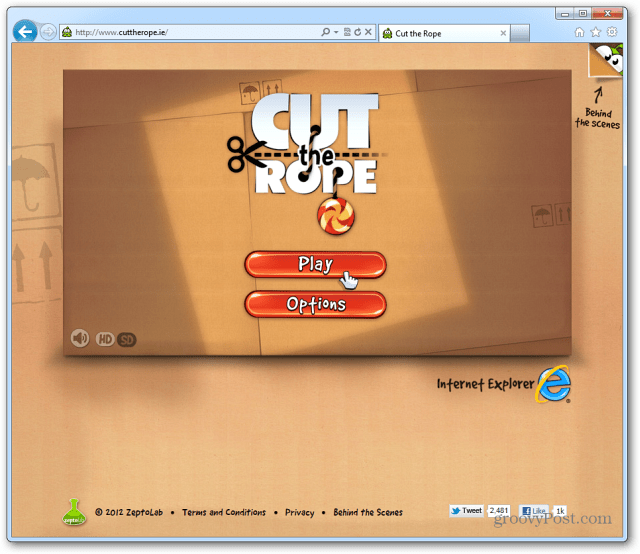 For more on the development of the HTML 5 Cut the Rope web version for IE 9 check out this video. 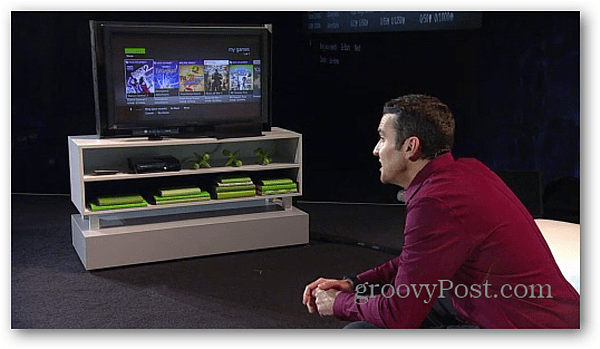 Microsoft showed more Windows 8 Metro UI features, Windows Phone 7 and Xbox Kinect voice control demonstrations too. The company also announced the Windows 8 public beta will be released in February. In case you missed it, check out the full Microsoft 2012 CES Keynote.